Did you know our township is just 30 years younger than our country? As the United States celebrates its' 241st birthday in 2017, Berkshire turns 211. We know there were times when Americans wondered if the country would survive, especially as we suffered through a Civil War, but here we are looking towards the future. ***One important note - the Republic Trash Calendar we posted last issue was incorrect. Several eagle-eyed residents noticed it and we contacted Republic. Republic has apologized and there is a link to a new version below. Your day for recycling has NOT changed - it remains on the same every other Friday pick-up day as you have been following. Wednesday, July 19 7:00 p.m. BZA Meeting. Open to the public. If you haven't been by the Township Hall in the last week then you haven't seen the garden that is well underway. Perennials were purchased, thanks in part to the grant from The Master Gardeners of Delaware County, and many, many hours of time have been donated by Bill and Susan Holtry to get everything planted. It is just the beginning - much more to come, but THANK YOU Bill and Susan for your hard work. 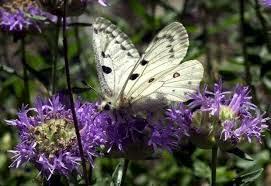 A special thanks, also, goes to the Township Maintenance Team who did the hard work of preparing the beds and paths. What was once an empty field is on the way to being a park Berkshire residents can be proud to call their own. Last month we reminded everyone about the importance of preventing mosquitoes from breeding in yards. Just dumping standing water on a weekly basis will interrupt the breeding cycle and reduce their numbers. Make sure your property is free of stagnant water in flower pots, bird baths, tarps, gutters and other places where it can collect." 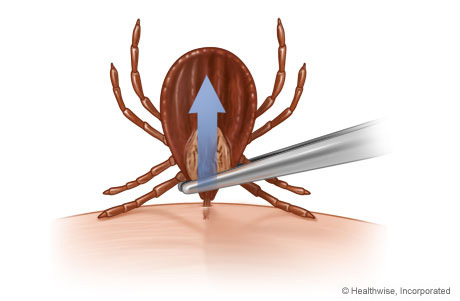 This month, we're talking about ticks. Yuck. Ticks are tiny creatures that make many of us squirm just thinking abut them. 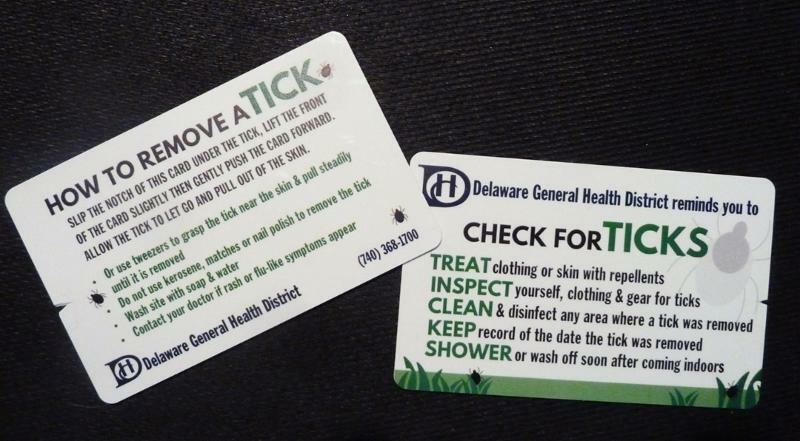 The Health Department has provided some helpful cards which may be obtained at the Township Hall, and they give great information on what to look for and what to DO if you find a tick on yourself or your pet.There are lots of old wives tales about how to best remove a tick. These cards put those myths to rest with specific, safe instructions and advice. Stop at the Township Hall and get your card. They are free while supplies last. A Public Hearing is scheduled to be held Tuesday, July 11, 2017 from 5 to 7 PM at the Northgate Church located at 797 East State Route 37, Sunbury, Ohio, 43074. 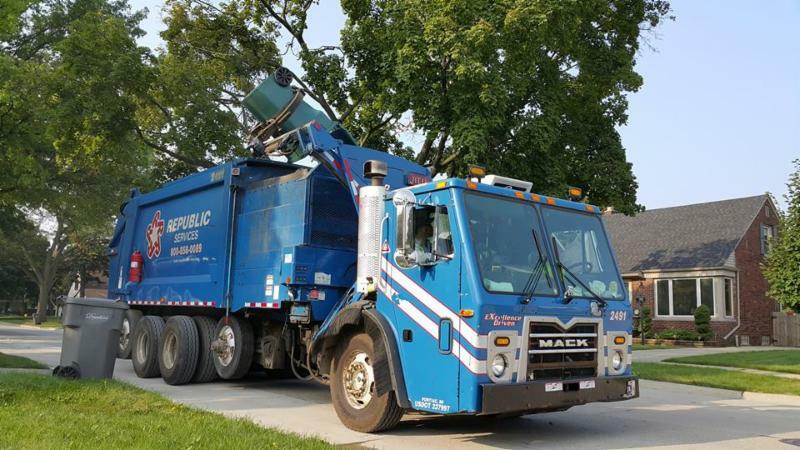 This public hearing is an environmental requirement to share the environmental assessment (EA) which is available for review and comment starting Monday, June 26, 2017 at several locations, including the Berkshire Township Hall - 1454 Rome Corners Road, Galena, Ohio. Three alternatives or routes under consideration were discussed during the Public Meeting Open House held April 28, 2016. The three alternatives were identified as Green, Blue and Purple. In the October 20, 2016 public meeting we recommended the preferred alignment as the Green alternative, as shown on the project website: http://www.dot.state.oh.us/districts/D06/projects/71/Pages/default.aspx. As we mentioned last month the Trustees have added a water faucet at the far west end of the cemetery, along the drive. 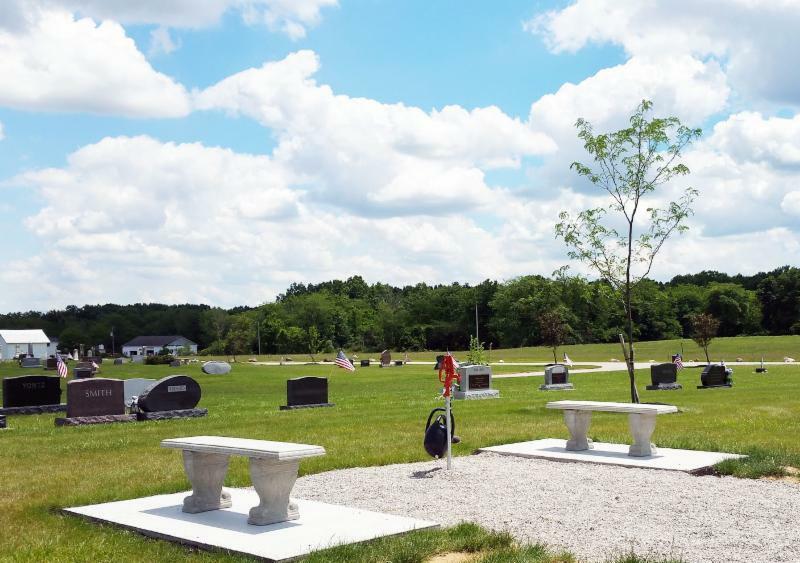 Now we've installed two benches as well for the comfort and convenience of cemetery visitors. 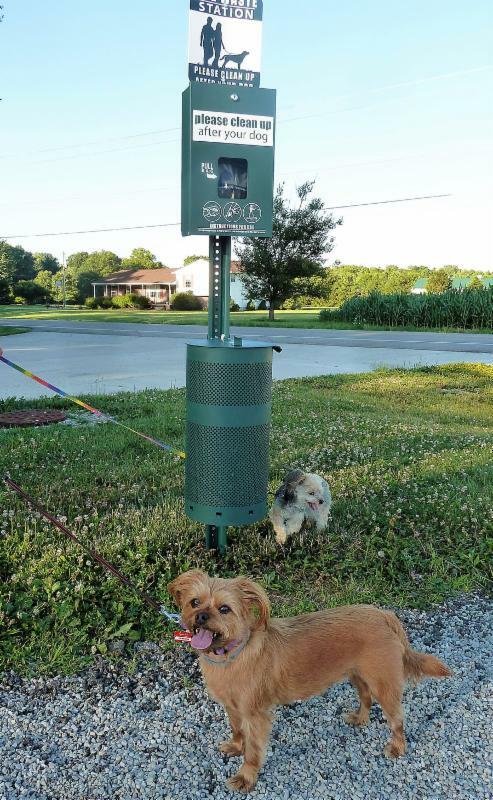 Two of the township's four-legged residents were caught recently checking out the new waste receptacles which were added to the walking trail on Rome Corners. 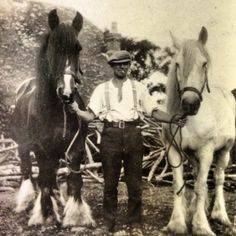 More folks are bringing their dogs when they visit and the trustees want to be sure there are adequate facilities for people to pick up after their animals. There are three waste stations, and we appreciate your efforts to keep the trail nice for everyone.